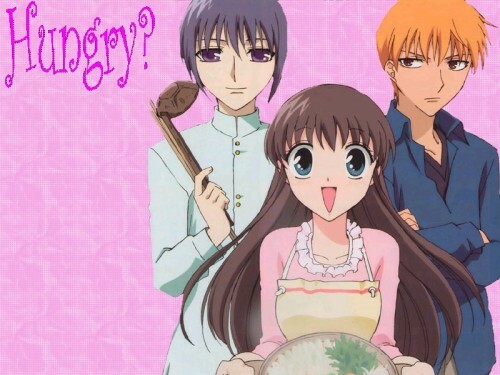 Minitokyo »	Fruits Basket Wallpapers » Fruits Basket Wallpaper: Hungry? Cute idea, but it really just seems like you put the scan onto a background, wrote a word and called it at that. It has a lot of potention though if you are willing to spend a little more time/creativity with it.